Helps Promote Brain and Cardiovascular Health. 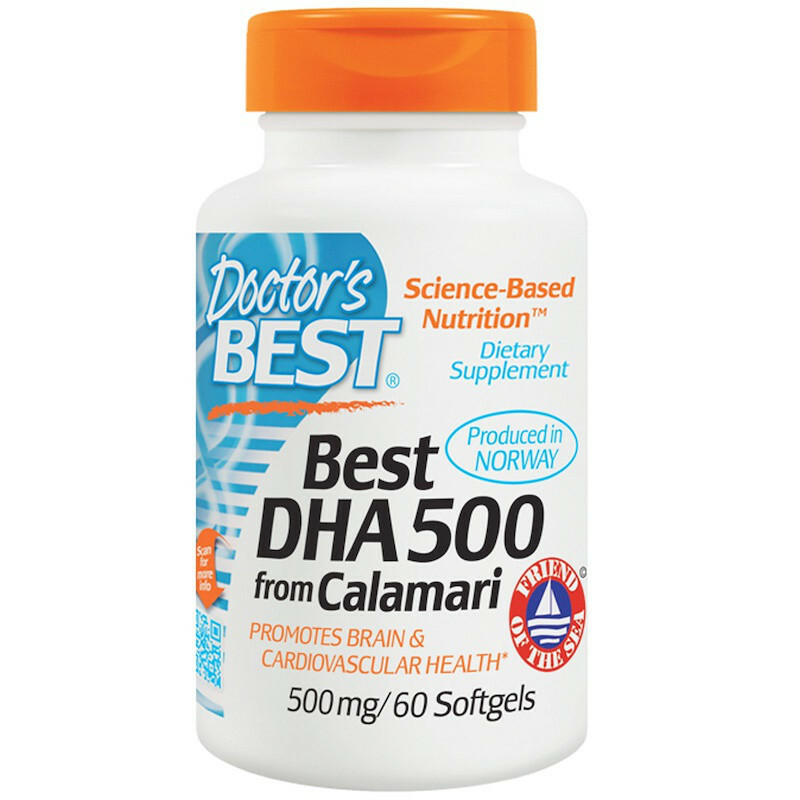 DHA (DocosaHexaenoic Acid, omega-3) is a building block for the cell membranes that manage many vital processes, such as mental performance, heart and blood vessel health, vision, immunity, wound healing, and all major organ functions. 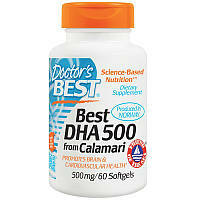 Doctor's Best Calamari DHA 500 is produced from sustainably harvested squid, and molecularly distilled to ensure purity. Adult Use: Take 1 softgel daily with food. For additional memory and learning support take 2 softgels per day. For heart and other cardiovascular protection take 3 softgels per day, or as recommended by a nutritionally-informed physician. Softgel capsule (gelatin, glycerin, purified water), natural lemon flavor, mixed tocopherols. Количество в упаковке 60 Softgels шт.